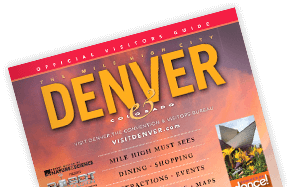 No matter what you're searching for in Denver, the VISIT DENVER Vendor Guide can help. Search Denver local businesses that can assist with your event planning, such as audio-visual, photo and video services, rental services, transportation, catering, entertainment, staffing and many other services! VISIT DENVER's digital marketing tools include images, brochures, visitor guides, mobile apps, banner ads, postcards, email templates and more. No matter what you're searching for in Denver, the VISIT DENVER Vendor Guide can help. Let VISIT DENVER provide you with the best possible housing experience in Denver.